Posters, flex boards and banners line both sides of the Alukad road that leads to Jineesh’s house in Poonthura, each hailing him as a hero. 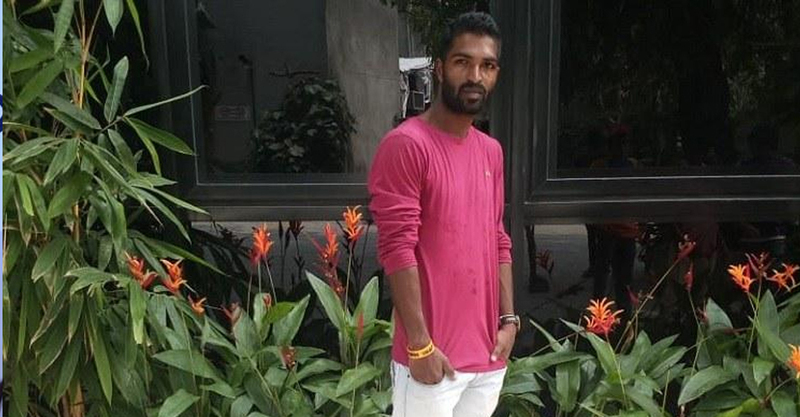 A fisherman who had rescued scores of people during the Kerala floods, 24-year-old Jineesh died on Saturday morning after meeting with a road accident on Friday afternoon. At the St Thomas Church, about a kilometre away, Jineesh’s mortal remains are laid to rest amidst tears from the huge crowd that had accompanied their hero on his final journey. The son of Poonthura had earned the love and respect of not just the people of his locality, but also of the people about 125 km north of his small hamlet. Jineesh’s funeral witnessed vast crowds of people who were rescued by him a month ago also coming in to pay their last respects to the brave fisherman. l hamlet. Jineesh’s funeral witnessed vast crowds of people who were rescued by him a month ago also coming in to pay their last respects to the brave fisherman. The eldest son of his family and the sole breadwinner, Jineesh was a leader among youngsters in Poonthura. Every evening, they would gather at the beach behind the church to play cricket. Johnny, Jineesh’s friend and a member of ‘Coastal Warriors’, reminiscing about his time with Jineesh said, “He stopped his studies after Class 12 since he had two younger brothers and his parents needed money to educate them. Although he had gone to the Gulf in search of employment, he came back after a few months since it didn’t work out.” That was when Jineesh turned a fulltime fisherman. It was during the floods in August that the former municipal chairman of Chengannur, Rajan Kannatu, first met Jineesh. “Chengannur was badly affected in the floods because a lot of areas like Pandanad were extremely difficult to access, many people were stuck there without a way out. That was when the fishermen from Poonthura and Valiyathura helped. Jineesh was a part of that team that volunteered to come and help these people,” he told media. Adding that Jineesh and his team of eight people stayed at his place during the floods, Rajan said that the team rescued nearly 600 people in four days. Rajan also said that most churches in Chengannur have organised special prayers on Sunday in memory of Jineesh. Holding back tears, Leena told that Jineesh rescued her 83-year-old mother Rachel John days after the first signs of flooding in the area. “I live in Texas and when the floods happened, I wasn’t able to contact my mother for 3-4 days. I tried contacting the National Disaster Recovery Force (NDRF), Coast Guard and the Navy but there was no sign of my mother,” she said. She then checked for her mother’s name in the list of people in relief camps and did not find it there either. It was at that time that Chengannur MLA Saji Cherian went live on Facebook talking about his constituency and how it had been hit by the floods. “When the live was going on, I typed in the comments section giving details of my mother. Within hours, I received information that she had been rescued and is safe. God sent Jineesh and his team to rescue my mother,” she added. Leena arrived in Kerala a week ago and came to St Thomas Church in Poonthura after she heard about Jineesh’s death. Jose Mathew is still not able to come to terms with Jineesh’s death. A resident of Pandanad, Jose was the first person to be rescued by Jineesh and his team. He along with eight others were rescued on August 17 from his house which was slowly going under water. “It is a very sad moment. One month earlier, he rescued us and now we have to see him being buried,” rued a morose Jose who came all the way to Poonthura to offer his final respects to his saviour.